It’s about to be that time of season again, fall. The thing I look forward to the most in fall has to be Halloween and specifically pumpkin carving. Towards the end of September the library will once again have pumpkin carving patterns on display. There will be a pumpkin carving display located on the third floor of the Fountaindale Public Library. 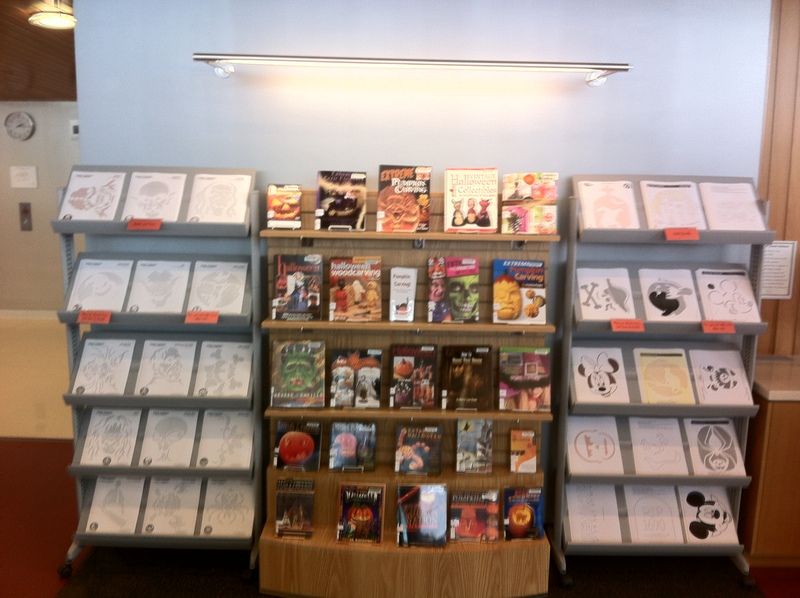 The library owns several books on pumpkin carving, you can find them here on our catalog. A free handout will also be available that you can take with you, it includes brief pumpkin carving instructions. We also have a wide variety of free, that’s right I said FREE, pumpkin carving stencils. Some of the stencils include Edward Scissor Hands, The Thing, The Avengers, Mario, Yoda, Jason Voorhees, Freddy Kruger, and many more. Just go to the third floor of the library and ask where’s the free pumpkin stencils and one of the librarians can point you in the right direction. Look for the display on the third floor for your free pumpkin carving stencils.